ONE OWNER **, CLEAN CARFAX / NO ACCIDENTS REPORTED **, SERVICE RECORDS AVAILABLE **, BACK UP CAMERA **, BLUETOOTH / HANDS FREE CELL PHONE **, FRESH OIL CHANGE **, TWO SETS OF KEYS **, DEALER SERVICED **, NAVIGATION **, LOCAL TRADE **, FULLY DETAILED **, SUNROOF / MOONROOF **, SAFETY INSPECTED **, FOR FREE CarFax VISIT PREMIERAUTOGROUPOFDURHAM.COM ****, AWD, ebony Cloth.2011 GMC Acadia Denali Carbon Black MetallicCARFAX One-Owner. Clean CARFAX.Recent Arrival! 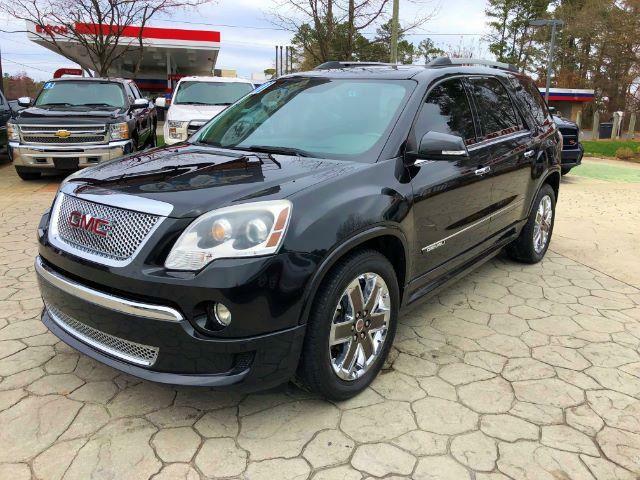 Odometer is 30022 miles below market average!Awards: * 2011 IIHS Top Safety Pick (built after 1/11)Premier Auto Group has been serving the Raleigh/ Durham area for over 20 years by taking care of the customer and giving fair deals.